According to official NHS figures, there were 70,555 recorded incidents in 2016 – which equates to about 193 assaults on NHS doctors, nurses and paramedics every day in England. While the employment of BWCs has been judged to be useful by both nursing staff and patients in the past, no report on their feasibility or effectiveness had been published to date. 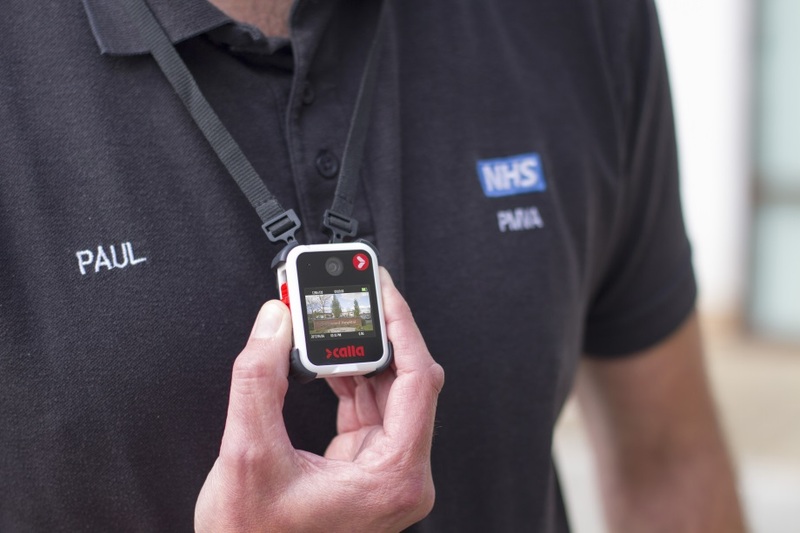 Under the aegis of their Innovation Research department and with support from Calla (BWC supplier), researchers and clinicians from the Northamptonshire Healthcare NHS Foundation Trust (NHFT) conducted a project to examine the feasibility of using body worn cameras in an inpatient mental health setting. 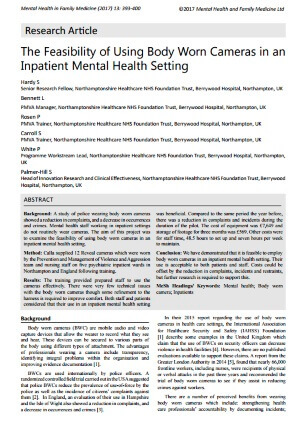 This pioneering pilot project using BWCs took place at Berrywood Hospital, which is a psychiatric facility in Northampton, England run by the NHFT. Body cameras were worn by the Prevention and Management of Violence and Aggression team and nursing staff on five psychiatric inpatient wards over a period of 3 months.